Laura Warren works in the Markets & Consumer Policy team within the Digital Economy Unit at the Department for Culture Media and Sport. In the third of our posts supporting Get Online Week, she tells us about her experience as a volunteer. In 2016, it’s surprising to learn that 1 in 4 adults in the UK lack basic digital skills and 1 in 10 have never been online. 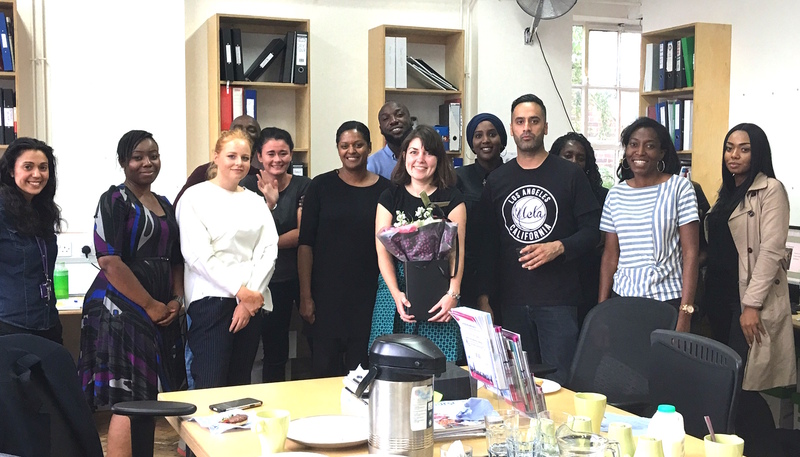 So this summer, I decided to get out of the office and use my full allowance of voluntary leave to spend a week at the Bromley-by-Bow Centre (BbBC) in East London as a Digital Champion. The BbBC is one of 5000 UK Online Centres providing digital skills training, often in some of our most socially deprived communities. I discovered that the BbBC is an impressively innovative community organisation supporting families, young people and adults of all ages to learn new skills, improve their health and wellbeing, find employment and develop the confidence to achieve their goals and transform their lives. 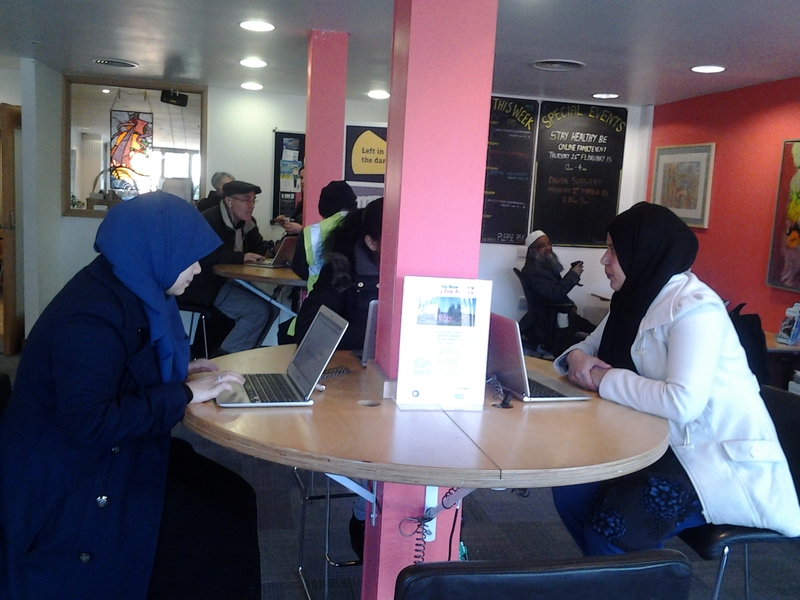 The BbBC’s unique set up means that digital inclusion runs as a thread through other services on offer, so clients who are on employability programmes and lack basic digital skills are referred to the digital inclusion sessions. 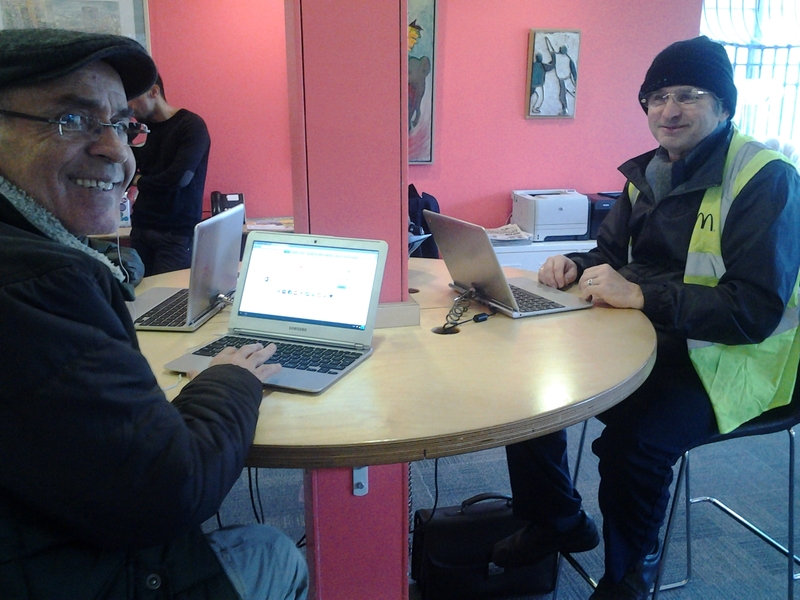 I was thrown straight in at the deep end, helping people to use the Job Centre’s Universal Job Match website to assess IT skills against job descriptions. I helped others log into a job search website or learn about viruses and how to protect a computer. I showed clients how to use gmail, from laying out a short message to attaching and sending photographs. I had been apprehensive about teaching digital skills beyond my own capabilities, but soon realised that the real key to being a Digital Champion is to combine basic IT skills with other qualities: being patient, listening, not making assumptions and tailoring support to the specific needs of the learner. The gratitude expressed to me was genuinely touching. The volunteers and staff at the BbBC work incredibly hard to support their clients, but they have a demanding audience. Just one extra Digital Champion providing one-to-one support makes a big difference. There are still a few days left to get involved in this year’s Get Online Week, but you can volunteer to share basic digital skills the whole year round. Why not give it a try - I did, and I loved it! Read Tinder Foundation's guest post as Matt Hancock, Minister for Digital and Culture kicked off the week, or Simon Leeming’s post about how and why civil servants are getting involved.